November 12, 2018, 6:00 p.m.
As many Americans prepare for holiday travel, people are considering how long it will take to get family to and from the airport in their city. 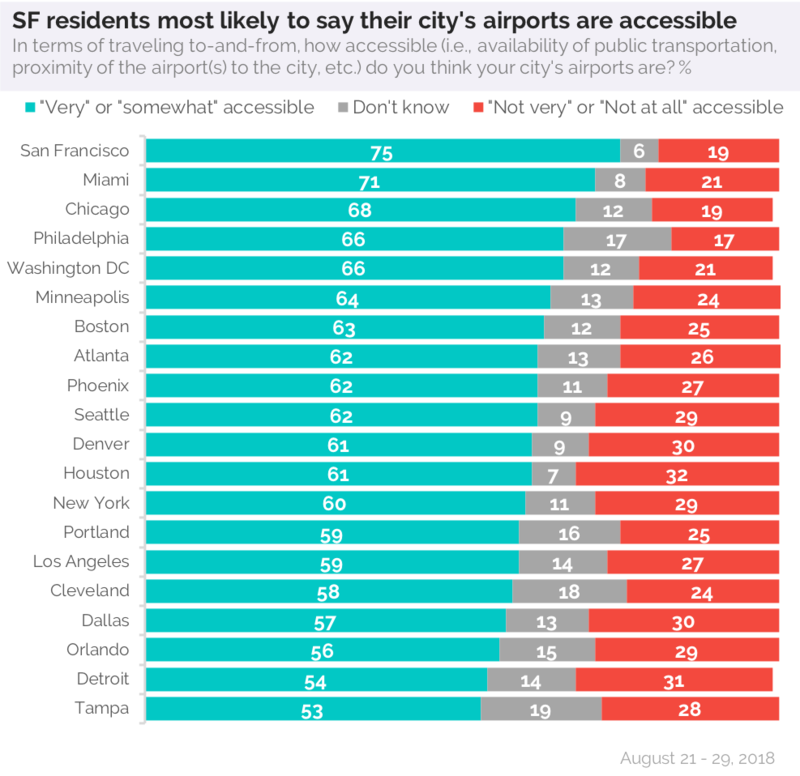 Data from a recent YouGov Citybus poll shows that people who live in the Bay Area (encompassing San Francisco, Oakland, and San Jose) are the most likely to say that their area’s airports are accessible. Three-quarters (75%) of people in this area say the airports are accessible, while only 19% say they are not. 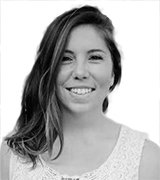 There are several airports in relatively close proximity in the Bay Area, including major international ones in San Francisco, Oakland, and San Jose, along with several smaller regional airports, giving travelers plenty of options. Other cities where residents say the airports are largely accessible include Miami (71%), Chicago (68%), Philadelphia (66%), Washington DC (66%), Minneapolis (64%), Boston (63%), Atlanta (62%), Phoenix (62%) and Seattle (62%). Majorities in all cities say that their airports are accessible. Tampa was the city least likely to call their airports “very” or “somewhat” accessible, with only 53% choosing this option. However, the city most likely to call their airports inaccessible was actually Houston, with nearly a third (32%) of this city’s residents saying the airports are “not very” or “not at all” accessible. Similarly, 31% of people in Detroit say their airports are not accessible, although a larger contingent (54%) says that they are accessible. Learn more about YouGov Omnibus and see results from other Citybus surveys on supervised injection facilities and local governments.